An online community space dedicated to supporting the field of language analysis for social science. Explore thousands of topics captured in over 14 million Facebook status updates derived via LDA. What words and phrases are characteristic of age, gender, and the Big Five personality traits? 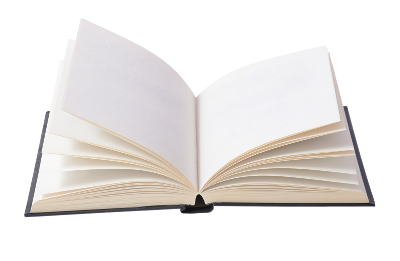 A lexicon is a listing of words centered upon a particular topic of interest. 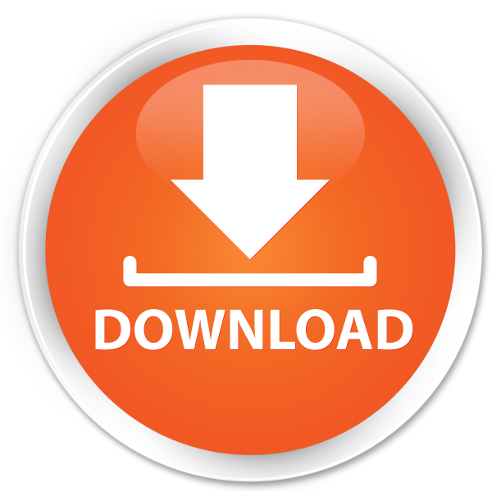 Click here to download available lexica. 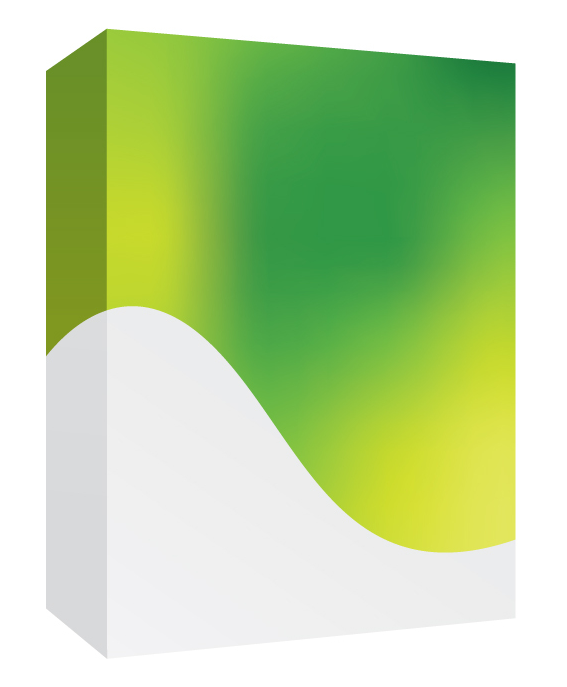 Software (written in Python) available for free download under the Creative Commons licensing. Our end-to-end text analysis package specifically suited for social media and social scientific research. Open source data sets, code and lexica. Additional data and information useful for research purposes. Schwartz, H. A., Eichstaedt, J. C., Kern, M. L., Dziurzynski, L., Ramones, S. M., Agrawal, M., Shah, A., Kosinski, M., Stillwell, D., Seligman, M. E., & Ungar, L. H. (2013). 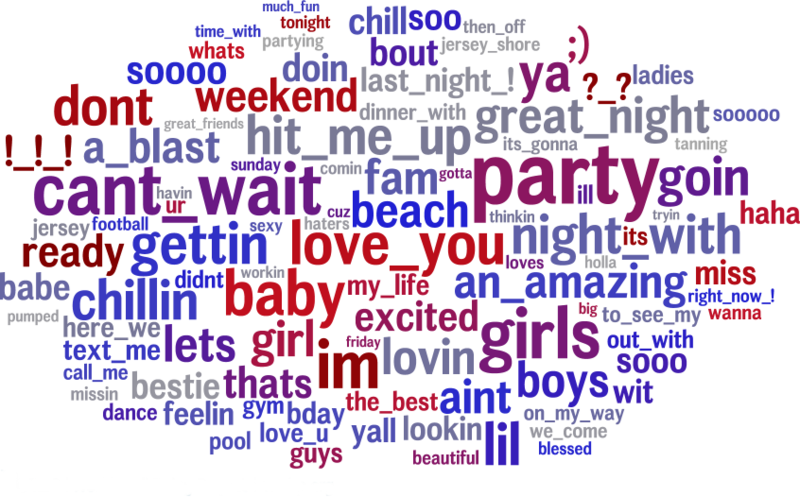 Personality, gender, and age in the language of social media: The Open-Vocabulary Approach. PLOS ONE, 8(9), . . e73791. These works are licensed under a Creative Commons Attribution-NonCommercial-ShareAlike 3.0 United States License. Sap, M., Park, G., Eichstaedt, J. C., Kern, M. L., Stillwell, D. J., Kosinski, M., Ungar, L. H., & Schwartz, H. A. (2014). Developing age and gender predictive lexica over social media. Proceedings of the 2014 Conference on Empirical Methods in Natural Language Processing (EMNLP), (), . . . Please email Andrew Schwartz to request a refined lexica such as LIWC. This may be posted shortly. Schwartz, H. A., Eichstaedt, J. C., Dziurzynski, L., Kern, M. L., Blanco, E., Ramones, S., Seligman, M. E. P., & Ungar, L. H. (2013). Choosing the right words: Characterizing and reducing error of the Word Count Approach.. Proceedings of *SEM-2013: Second Joint Conference on Lexical and Computational Semantics, Atlanta, Georgia, USA, (), . Atlanta, GA, USA. 296-305. & H. Andrew Schwartz, M. S. (2016). Predicting Individual Well-Being Through the Language of Social Media. Pacific Symposium on Biocomputing, 21(), . . 516-527. Combining the affect lexicon with the future orientation lexicon produces an optimism lexicon (positive future-oriented thinking). Simply filter messages to those future-oriented using the future orientation lexicon, then apply the affect lexicon. Please visit LexHub for more resources. To calculate the lexicon usage, one can take the sum over all words of the word weight in that particular lexicon multiplied by that word's relative frequency, and subsequently adding the intercept value to correct for the model bias (found under '_intercept' in the lexicon csvs). where is the lexicon weight for the word, is frequency of the word in the document (or for a given user), and is the total word count for that document (or user). If the lexicon used represents age, and are the predicted ages for both documents. If it represents gender, simply take the sign of the result and if it's positive, the document is female, else it's male. Curtis B, Giorgi S, Buffone AEK, Ungar LH, Ashford RD, et al. (2018) Can Twitter be used to predict county excessive alcohol consumption rates?. PLOS ONE 13(4): e0194290. (controlled for density and ethnicity). Ireland, M. E., Schwartz, H. A., Chen, Q., Ungar, L. H., & Albarracín, D. (2015). Future-oriented tweets predict lower county-level HIV prevalence in the United States. Health Psychology, 34(S), 1252. Eichstaedt, J. C., Schwartz, H. A., Kern, M. L., Park, G., Labarthe, D. R., Merchant, R. M., Jha, S., Agrawal, M., Dziurzynski, L. A., Sap, M., Weeg, C., Larson, E. E., Ungar, L. H., & Seligman, M. E. (2015). Psychological Language on Twitter Predicts County-Level Heart Disease Mortality. Psychological Science 26(2), 159-169. Schwartz, H. Andrew, Park, G., Sap, M., Weingarten, E., Eichstaedt, J., Kern, M., Stillwell, D., Kosinski, M., Berger, J., Seligman, M., & Ungar, L. (2015). Extracting Human Temporal Orientation from Facebook Language. NAACL-2015: Conference of the North American Chapter of the Association for Computational Linguistics. Preotiuc-Pietro, D., Schwartz, H.A., Park, G., Eichstaedt, J., Kern, M., Ungar, L., Shulman, E.P. (2016). Modelling Valence and Arousal in Facebook Posts. Proceedings of the Workshop on Computational Approaches to Subjectivity, Sentiment and Social Media Analysis (WASSA), NAACL. Merchant, R. M., Asch, D. A., Crutchley, P., Ungar, L. H., Guntuku, S. C, Eichstaedt, J. C., Hill, S., Padrez, K., Smith, R. J., & Schwartz, H. A. (2019, in press) Medical conditions are predictable from social media posts. PLOS One. Please visit LexHub for more available Data Sets.